The Vibe brand can be truly named the most experienced pros in the kayaks for fishing. Because of such great experience all coolers made by this manufacturer are the perfect choice for people who prefer an active lifestyle, especially for those who can’t imagine their life without boating or kayaking. The Vibe Element coolers are famous because of each their ideally elaborated detail. Beside the cool minimalistic and modern look each of the Vibes coolers will please you with the high efficiency and affordable price tag. Can’t imagine your weekend without the amazing feeling of complete freedom on the open water? 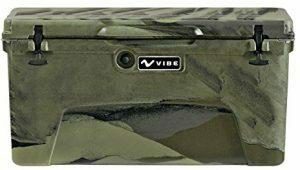 The Vibe cooler is exactly what you need to take with you! Small, Medium or Large? Available Sizes of Vibes Coolers. Each option made by Vibe manufacturer can boast of the incredibly high durability level and long duration of ice retention period. Let’s consider what is the secret of such high-end features? First thing that is the reason of such high efficiency is the rotationally molded construction, of each cooler that significantly increase its durability and allow you use it during many years. The good duration of the ice retention period is caused by the special insulation of each Vibe cooler, which consist of three inches of the high-density foam that is located between cooler’s walls made with the rotationally molding technology. 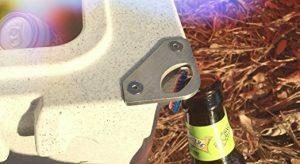 The whole cooler’s body is damage-resistant, so you can use it even in tough weather conditions, or simply to put it into your kayak without worrying that it will be damaged because of hit that can occur while kayaking. As it can be seen from the table before this paragraph, you are able to choose the most appropriate size among three available sizes. There are large (seventy five quarts), medium (forty five quarts) and small (twenty five quarts) available. 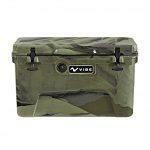 You can also choose the desired cooler’s color among camo or grey colors available. 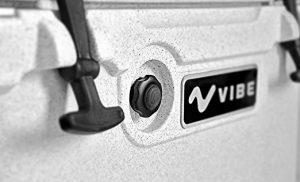 The Vibe is the unique company that is specialized in fishing, so the main aim while designing the coolers was to achieve the highest convenience and the simplest using. And what we want to say, these guys really did it! All of the Vibes coolers are equipped with the metal openers for bottles that are so necessary while you are sitting in your kayak under the scorching sunrays and want to drink the cold bottle of beer or lemonade, each sip of which will be as the one and only possible salvation for you. In addition to this you will be glad to see the durable straps made of nylon for handles of medium and large options. Each of them is additionally wrapped in the durable rubber for the maximally comfortable transport. The small option is equipped with the tough handle made of metal and wrapped with the convenient foam. And the one more small but so important for every fisherman addition is the FISH RULER! We are sure that if you are a fan of fishing, you will definitely appreciate this! Also you will be pleased with the ability to clean your cooler rapidly thanks to its spout for draining. By the way it has a chain specially to prevent missing it and positioning it properly especially when you are hurrying home. 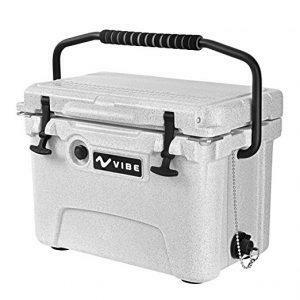 The durable construction of each Vibe cooler is also equipped with the tough rubber latches that prevent air ingress inside the cooler, thereby significantly increasing the ice retention period’s duration. It means that you can leave your cooler even under the sun and don’t worry that instead of ice in some hours you will see water inside it. The special valve for releasing the pressure allows you to open cooler even under the sun rays and the hot air will not ingress inside it. So, what do we have? Ice-cold beverages even under the sun, durable body, comfortable transportation and a lot of useful accessories. Not bad, yeah? Vibe Coolers vs Other Cool Options. Let’s Compare! We don’t want to say anything bad about other manufacturers but facts speak for themselves. A lot of people nowadays used to think that the more expensive the products is, the better quality it has, but it is the great mistake. You can overpay around 250 dollars for the famous brand (coolers like Yeti) because you will think that the quality will be better, but actually you can purchase the same-quality option or even better at the lower price tag! 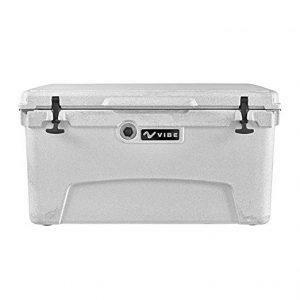 If compare features Vibe coolers offer you three inches of insulation instead of two inches offered by Yeti, and the warranty’s duration of Yeti coolers is equal to five years while the Vibe coolers offer lifetime warranty for each their product. Vibe Elements Coolers. Conclusion Words. As a conclusion we want to say that if you need a cooler to take with you while boating, kayaking or camping, you hardly find something better than these options. Durable construction, around three days of ice retention period, very good insulation and the most important thing-affordable price make these high-end coolers one of the best models available nowadays. 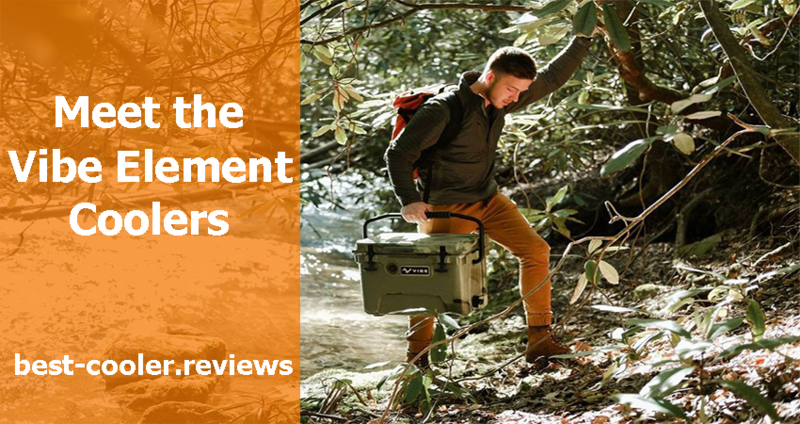 With many positive reviews from users and quality proven over the years, these coolers will not let you down.